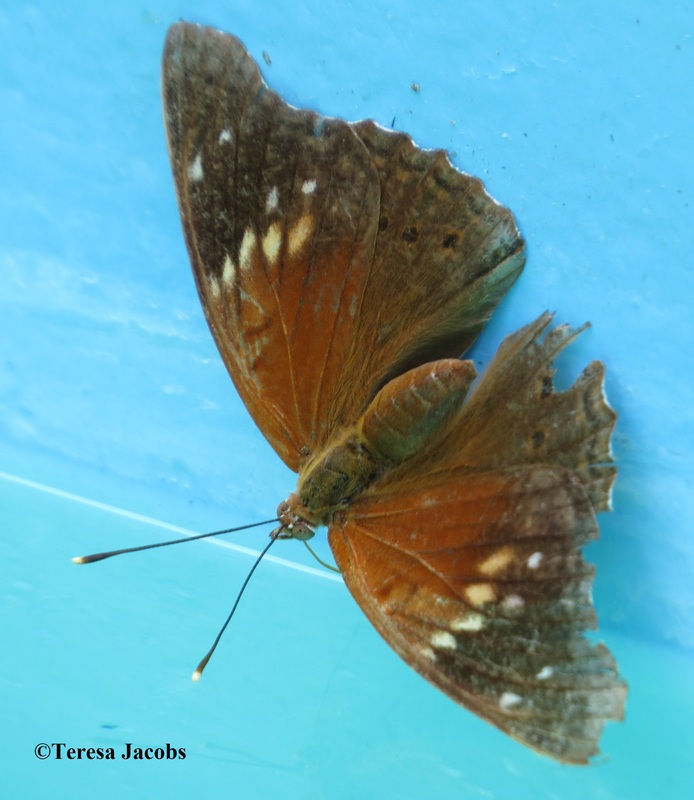 Identification: Upperside is brown; forewing is hooked. Male forewing with white spots near the tip, and usually a band of yellow spots across the center of the wing. Hindwing has 6 dark submarginal eyespots. Female spots are duller, more diffuse; forewing is broader and not as hooked as in the male. Both sexes have another form in which the colors are paler. Life History: Males perch to await females. Caterpillar Hosts: Hackberry species (Celtis) in the elm family (Ulmaceae). Adult Food: Rotting fruit and occasionally flower nectar from Lantana, Ageratum, and Tournefortia. Habitat: Woodlands and their edges. Range: Cuba and the Isle of Pines, Mexico, Guatemala; rare on Hispaniola and Puerto Rico. A rare stray to southeastern Arizona.